TUESDAY, Feb. 26, 2019 (HealthDay News) -- Nuts and seeds are often mentioned in the same breath, but nuts seem to get all the attention. Time to stop overlooking seeds -- they might be tiny, but they pack in a lot of nutrients. They're also tasty and some make a filling snack. Like nuts, seeds have protein, carbohydrates and fats. Because of their fat content, they're calorie-dense, and a half-ounce -- weighed without the shell, about one tablespoon -- is equivalent to an ounce of protein. Flax seeds are especially good for you because of their high omega-3 content and both soluble and insoluble fiber. To get the most benefits, buy them whole, keep them in the fridge and grind them as you need them (not in advance) -- easily done in a coffee bean grinder. Besides sprinkling ground flax on cereal and yogurt, add it to smoothies, ground meat dishes and pancake, waffle and muffin batters. You can even use it instead of breadcrumbs. Sunflower seeds are a tasty source of vitamin E, some B vitamins and a wide array of minerals. They're great when sprinkled over salads or creamy vegetable soups as well as on their own. Pumpkin seeds, also called pepitas, are another great choice, a good source of protein, zinc and antioxidants. You can buy them when shelled or unshelled, but it's easy to roast your own anytime you make pumpkin or another squash. Just scoop them out of the raw vegetable, rinse off any fibers and pat dry. Toss with your favorite spices or herbs and roast in a single layer on a parchment-covered baking sheet for 15 to 20 minutes at 170 degrees (the lower temperature is to avoid changes to the structure of their healthy fats). 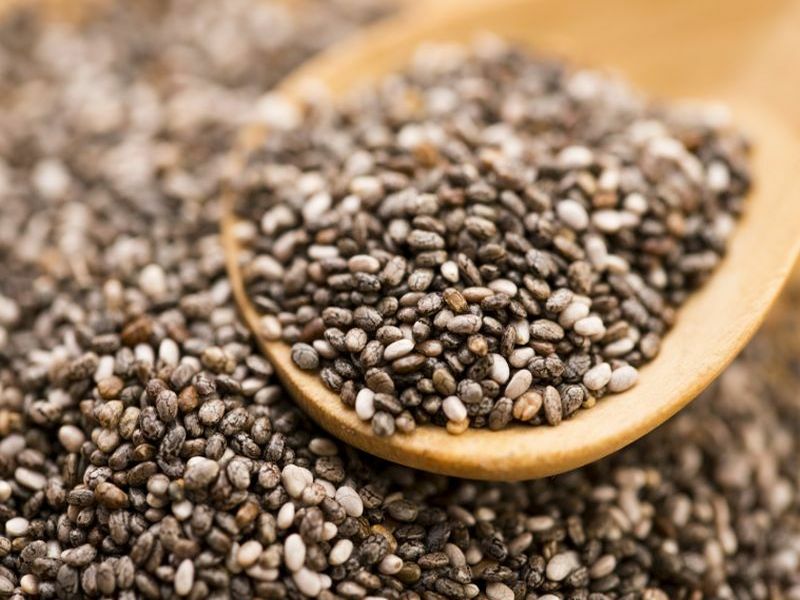 Because of their high fat content, all seeds can go rancid quickly, so if possible, store in the fridge or even the freezer.